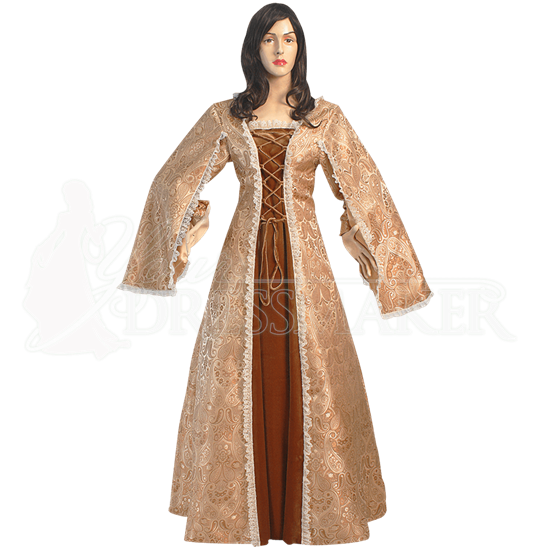 Handmade from golden patterned brocade and coppery royal velvet and trimmed throughout with delicate white lace, the Open Sleeves Renaissance Gown proudly showcases decorative open hanging sleeves attached at its shoulders. Modest in length, the sleeves extend only to just past the wrist. Inner fitted long sleeves provide coverage underneath. This one piece dress displays a layered look, with the adjustable lace-up detail over its center royal velvet panel of the bodice appearing to secure a brocade outerlayer. Lace-up detail on the back of the bodice allows the wearer to adjust and cinch the waist. To showcase the shape of the skirt, as seen here, wear a petticoat underneath, sold separately. 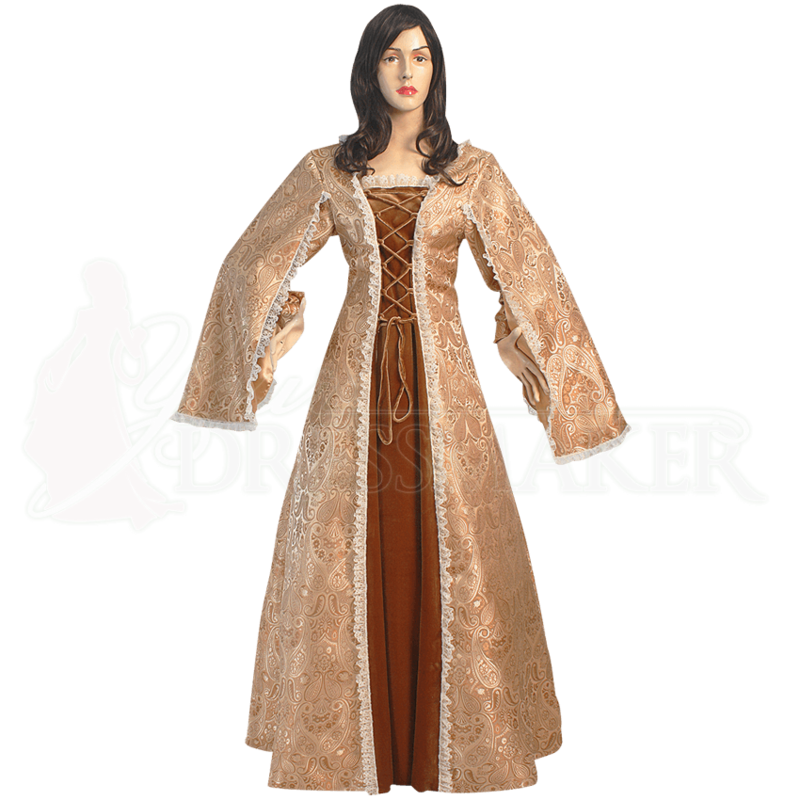 Wear this dress for the most regal of medieval looks at your next reenactment event or Renaissance festival.